The Washington Capitals survived a hard-fought regular season, and emerged from perhaps the most grueling Eastern Conference playoff runs in recent history. 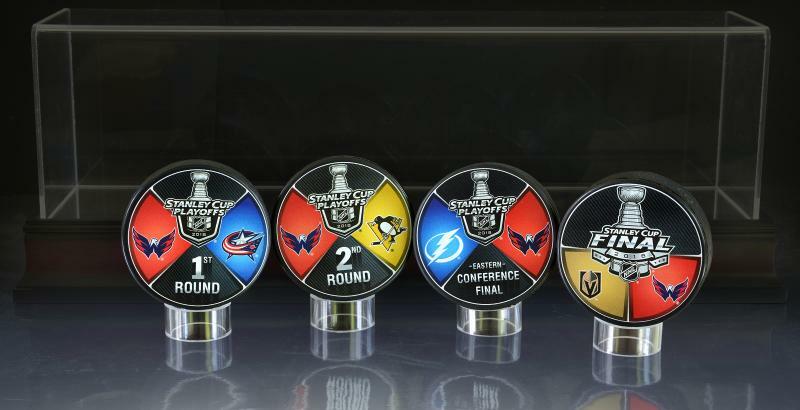 They will now make just their 2nd Stanley Cup Finals appearance and their first in 20 years. 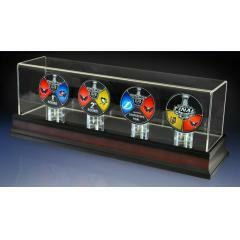 To honor this unique achievement we are pleased to release this one-of-a-kind Commemorative 4 Puck Set with a beautiful Mahogany wood base with glass display cover. 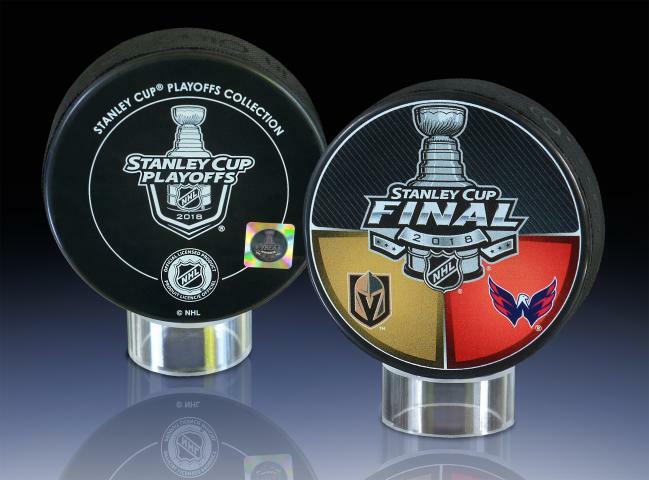 Each puck marks the playoff victories earned by the Capitals on their way to the Stanley Cup Finals. Each set is hand-numbered, with a limited edition of 2018 sets. Order yours now before they are sold out. Display case measures 17" x 5" x 6". Due to the limited nature of this offer we must charge your credit card for the full price immediately upon taking your order. This policy ensures we reserve a set for you. We will confirm your order by email. 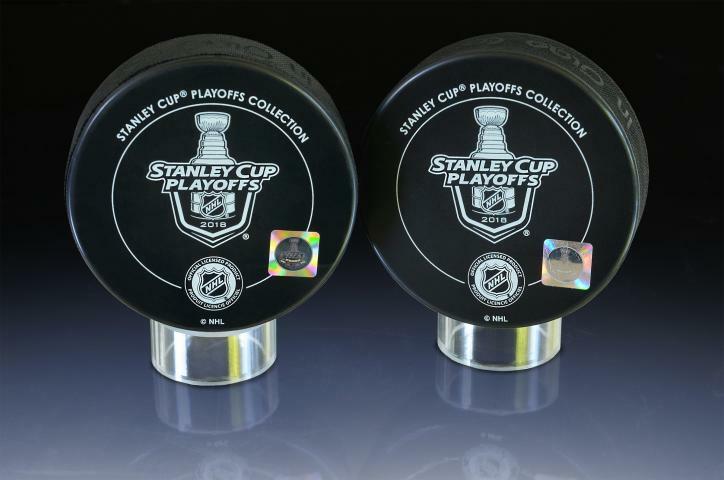 These pucks are not game used. Please allow 4 to 6 weeks for delivery. 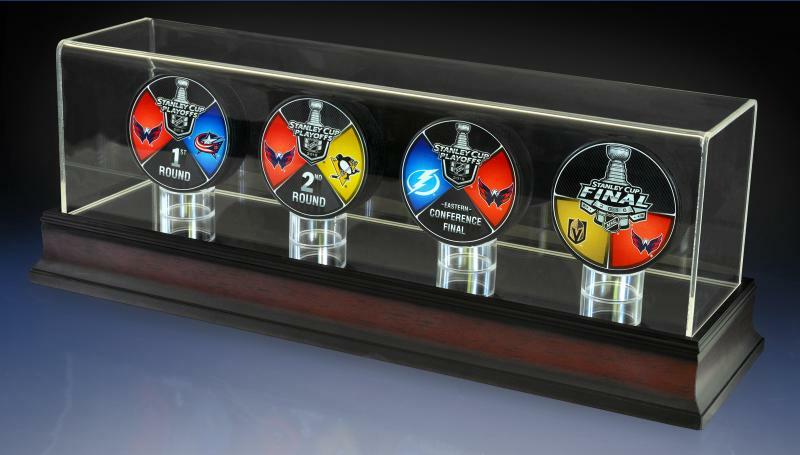 This special 4 Puck Set is officially licensed.